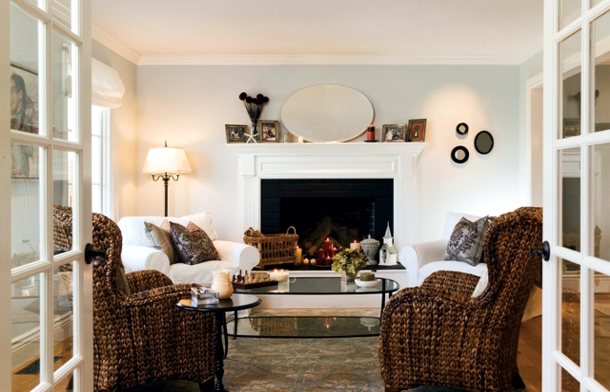 Bamboo seating for the living space | Exotic to look at, and very easy to maintain and clean, bamboo furnishings lend a soothing, holistic feel to the living space. 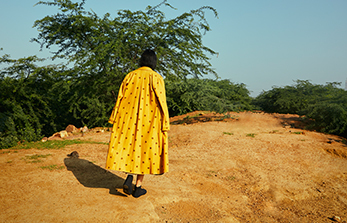 An economical substitute for wooden furnishings, bamboo, and cane furniture is today, making a stronger presence in Indian homes than ever before. Quirky light fixtures | Artistic and ‘green décor’ at its best, bamboo light fixtures not only add a rustic touch but also a sense of romance to the home. Made from 100% natural products and recyclable attachments, bamboo lamps are perfect for mood lighting. 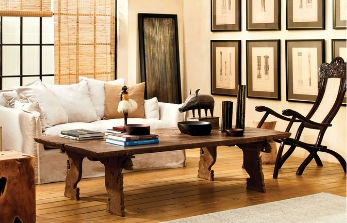 Rustic coffee tables | Impress your guests and visitors by serving them a treat on a rustic, bamboo coffee table. Made from natural bamboo poles in various lengths and hues, the poles are held together with the help of metal belts, without the use of glue or screws. Having emerged from a period of unimaginative bamboo-furniture designs, today bamboo has turned around its image to be the most versatile, practical and contemporary furniture material option. Organic touches in the bathroom | Bamboo or cane products for bathroom furnishings are easy to maintain and can be waterproofed as well. You can also place cane-sheath candles to add that extra dose of pizzazz to your bathroom corners. Window treatments for homes | By keeping out the summer heat and the dust that comes along with it, bamboo window treatments for conceptual interiors is all the rage nowadays. The material can do no wrong in its classy element, but by adding some pattern in the form of graphic modern art, one can develop inspiring cane-filled spaces.